With superb contemporary styling and exclusive ceramic panelling, the Gas Ceramica Manhattan stove brings a colourful new dimension to home heating. A finely detailed cast iron frame surrounds a panoramic window that allows you to enjoy a full picture of the flames. A cast iron grille on the top of the stove allows warm air to flow into the room. 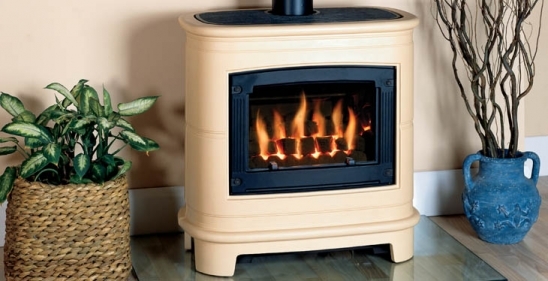 Available with a choice of coal or log effect fuel bed.